This is a standout appetizer that works for any holiday event. We recommend you use the Comice pear, which is one of the juiciest and most flavorful pears available. 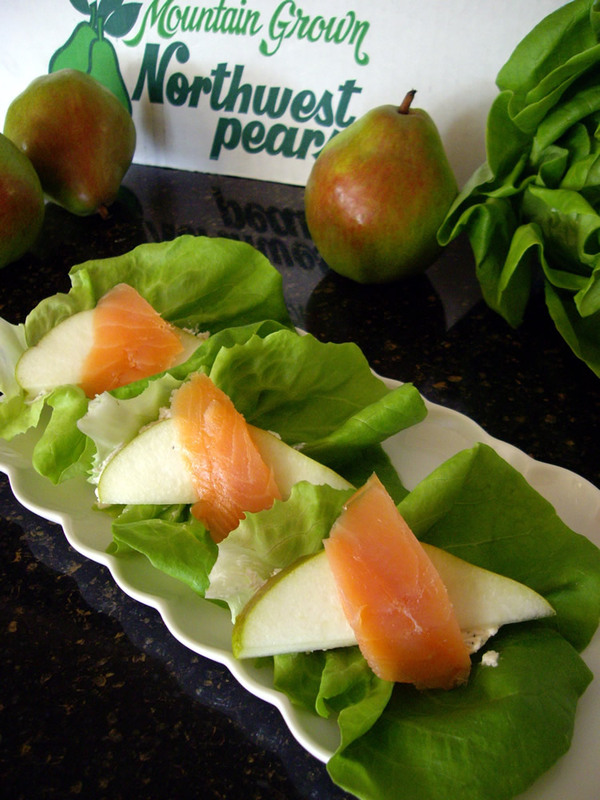 This pear originated in France and adds “sophistication” to these outstanding wraps! Place one spoonful of soft cheese spread down the center of each lettuce leaf. Next, add one slice of pear on top of cheese and top pear with smoked salmon slice. Fold lettuce leaf up (like a taco) and place each leaf close together on a serving plate. Make up to two hours ahead of time and cover them with plastic wrap until ready to serve.